To say we've made a few more trips than usual to the vet and to the Ontario Veterninary College (OVC) these past few months would be a serious understatement! Caring for 64* residents often means that one or more residents has a health concern that requires medical attenion at any given time. 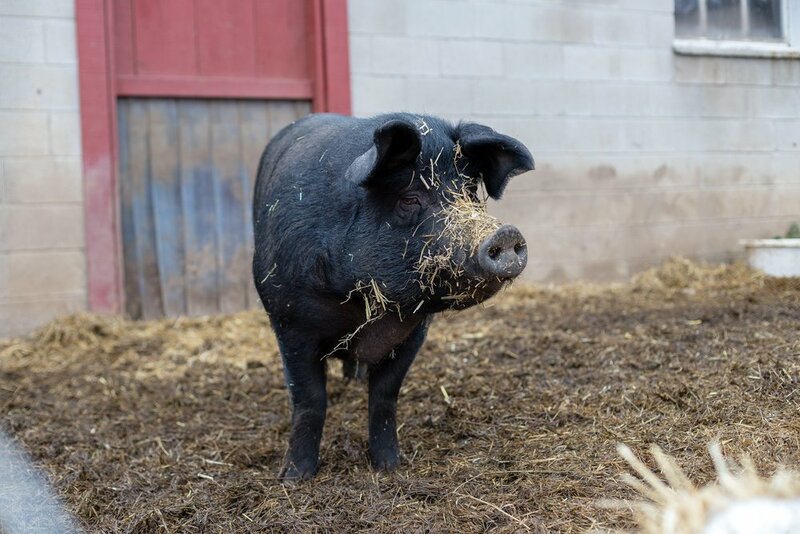 Plus, residents who come to HEEFS to live often have medical conditions that require ongoing treatment and care. 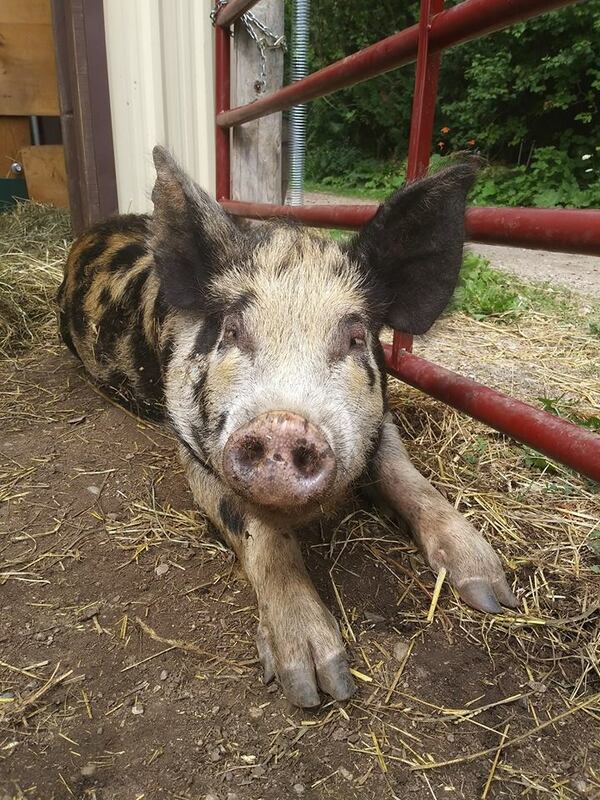 So far in the past three months alone, we have had 11 residents at OVC for surgeries, including 6 piglets in for spaying and Jolene and Abigale both had their ovaries removed. Of course, these are planned surgeries, but there are also the unexpected events like April's cancer scare that required surgery and Corno having metal bits removed from his gut. All totalled, our vet costs since the beginning of 2019 has topped $20,000! Not doing these surgeries is never an option. The health and well-being of our residents takes priority over everything and we would do anything in our power to ensure that they are healthy and comfortable. Several of our residents, like Dolly and George, require ongoing medical care for a variety of health concerns. With daily treatments and medications, residents like Dolly and George can go about their days happy and pain-free. 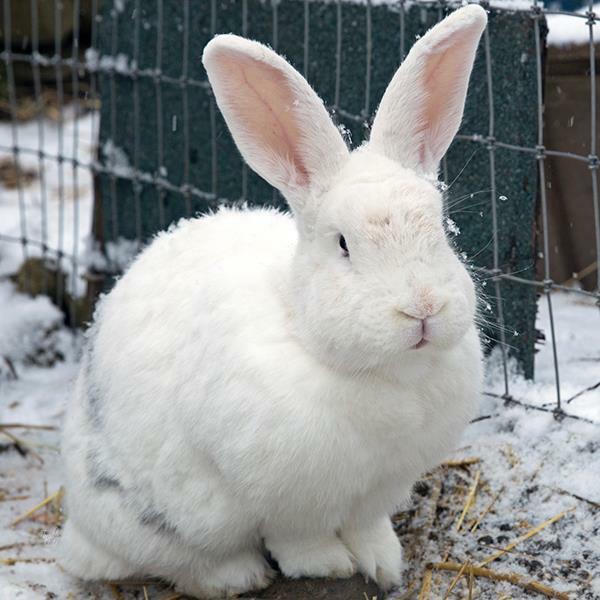 Health concerns are the sad part of running a sanctuary. We wish that endless love and kindness could cure them all, but that is not the case. Without your ongoing love and support, we simply could not continue to provide the level of care our residents deserve. Please consider making a one-time donation or becoming a monthly donor. Monthly donations start at just $5 a month! No amount is too small and every penny donated goes directly to providing food, shelter and medical care for all of our residents. *The previously stated count of 55 residents was an error. We currently have 64 residents at HEEFS. We're adding five new stalls to our main barn. We will be using these stalls for residents who will benefit from additional space, plus it will give us a lot more flexibility when we have to move residents around for health or safety concerns. Building the new stalls should take about two months and construction is already underway. Each stall will have heavy-duty gates, its own fire suppression system, electric and bright LED lights plus, of course, SoftStall flooring for added comfort and cleanliness! Dan met Diablo back in 2016 on the very first day he volunteered at HEEFS. "Derek took us to see the goats and sheep and warned us not to trust Diablo. We were told that Diablo would try to hook us with his horns which were sharp and could injure us," Dan remembers. "And then, almost on cue, Diablo tried to hook Derek!" 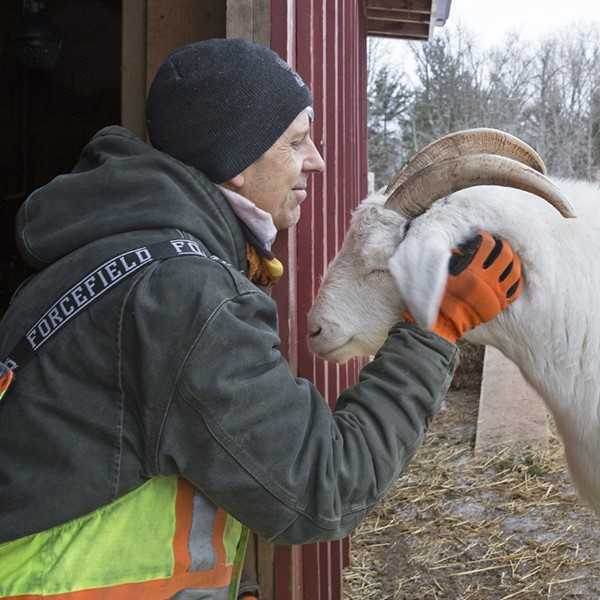 Even though many people will tell you that Diablo has totally earned his name, weighing in at 200 pounds with sharp horns that he is willing to use, in Dan's experience, most of the time he just wants some affection. "I'll greet him with some rubbing around his eyes, face and horns, and Diablo will always let me know when he's had enough!" Along with his many other volunteer duties, Dan has a very special role at HEEFS. Once a month he'll help to harness and control Diablo while he gets his hooves trimmed and his health checked. "He trusts me," says Dan. "And if other volunteers need him out of the way so that they can bring food or do some cleaning, they call me." Diablo and Dan have formed a very special bond. During his regular volunteer activities, Dan will bring water and food to the goat barn and help keep it clean and fresh. 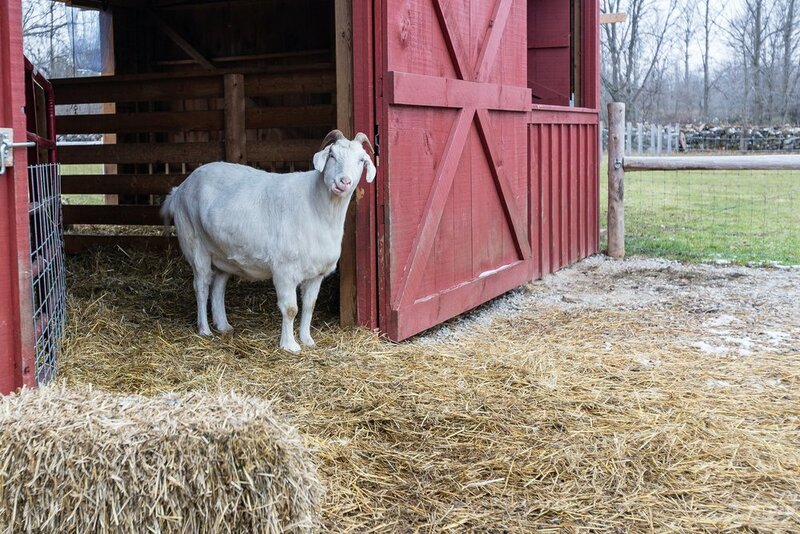 "When I approach the goat barn and Diablo isn’t in sight, I’ll call his name and he will either bleat a reply or poke his head out the window to greet me," says Dan. "It makes me smile every time." The HEEFS store just got a make-over! Now it's even easier to find all of the great HEEFS clothing, bath items and fun stuff you want! Newly organized with more items than ever, you'll find lots of great gift ideas and a few treats for yourself, too! Check it out! Tell mom you love her...HEEFS style! Limited edition Mother's Day tee - Available for 2 weeks only starting April 1st! From our moms to yours! Show mom how special she is to you with our limited edition Mother's Day tee from Happily Ever Esther Farm Sanctuary! Available for purchase from April 1- 16 only, with delivery in time for Mother's Day! Watch our Facebook page for a special link to purchase your Mother's Day tee!